To provide services and advocacy which empower and enable people with disabilities to self-determine the goals and activities of their lives in family, home community and workplace. It is the right of people with disabilities to control and take charge of their lives. It doesn’t mean wanting to do everything by oneself or living in isolation. Independing Living means having the same choices and control of one’s daily life that non-disabled friends, neighbors, and family members take for granted. This includes taking risks, taking responsibility, and having the same right to succeed or fail. Information and referrals to other agencies, programs and support services such as assistive technology, home repair, food and clothing banks, etc. Independent living skills training – to maintain independence. Peer support, guidance, mentoring – one person with a disability helping another, including monthly support group meetings. Advocacy – assist individuals in learning how to advocate for their rights, fair housing, ADA (Americans with Disabilities Act) compliance, community impact, and other issues relative to fully including people with disabilities. Benefits planning assistance – evaluation and referral to programs, such as Ticket to Work, Social Security, Medicaid, Food Stamps, Vocational Rehabilitation, Disability Program Navigator Services, Job Development and Placement Services, etc. Work Incentives Planning and Assistance Program – Are you collecting SSI or SSDI? Do you want to return to work? Our Cerivfied Benefits Counselors can help people with disabilities who live in teh 5 northern counties of Arizona achieve work goals without losing medical benefits and can also assist with benefit questions. Employment Evaluation and Training – We provide computer and other classes, budget assistance, home based business and self employment information. Plan for Achieving Self-Support (PASS) and other employment services. Assistive Technology – We are a demonstration center for the Arizona Technology Access Program. As part of a state-wide consumer responsive AT service delivery system, we will assist you in selecting and applying for FREE or low-cost assistive telecommunications devices. We have a Video Relay Service at our Prescott Valley location for people with hearing loss. This free service allows the user to make video relay calls through a certified ASL intreperter. ADA guidelines and training to businesses or homes. Support groups such as the Brain Injury Group, Depression/Bipolar Support Alliance Group, social and recreational activities, computer classes, and involvement in community events. Our Community Center meeting area is a place for social activities, community gatherings, computer use, internet access, support group meetings, and as a place to meet with friends and peer mentors. Public seminars and education about disability related topics. Various volunteer opportunities in our organization and in the community. Participation in community health and business fairs by staff, consumers, volunteers and board members as well as outreach activities. Transportation services for the elderly, general public, and individuals without transportation as well as those needing wheelchair accessible transportation. With 8 vans, 4 of which are lift equipped, we proide low cost, accessible transportation in Prescott, Prescott Valley and the surrounding areas Monday through Friday. For rides to work, school, appointments, social engagements, shopping or prescription pick-up. 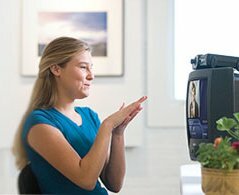 Services such as a CCTV magnifying system for those with vision loss, a Sorenson Video Relay System to conduct video relay calls using a certified sign language interpreter via the internet, and a low vision computer class. Specific individual outreach services for individuals with invisible illnesses such as Fibromyalgia, Chronic Fatigue Immune Dysfunction Syndrome, Environmental Illness and Multiple Chemical Sensitivities. To find out more about our Sorenson Video Relay System, how it works and can help, click here to go directly to Sorenson’s site. You can even apply for a free VP-200 system of your own at the site. Transportation is a vital part of one’s mobility. 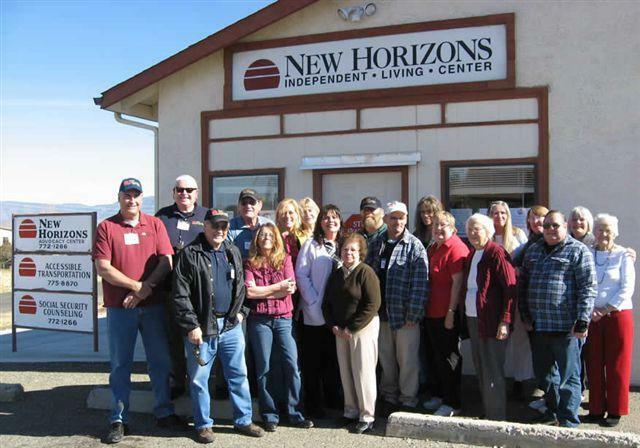 At New Horizons Independent Living Center we can help you become more mobile. The instructor, Joan Baum is a qualified business trainer with degrees in both the education and computer fields, and is the owner of Multiplex Consulting located here in Prescott, AZ. Joan has been teaching computers for over 25 years in both the business and academic worlds and currently also teaches at Yavapai College and taught for the Waukesha Technical College in Wisconsin. Her business, Multiplex Consulting, offers a number of various types of business trainings and business help for local and international businesses – from expanding one’s computer expertise, helping to setup offices and creating manuals and procedures (she was an HR director), to helping improve Customer Service , Employee Attitudes, Safety Trainings and others upon request. She is also on the Advisory Board for the University of Montana’s Rural District, which is responsible for the curriculum for both the Living Well and Working Well with a Disability courses. Joan also facilitates these courses, which are offered by New Horizons periodically depending upon funding. Believe it or not, a Ticket to Work is neither a joke nor an attempt to push you off your benefits. It’s actually an opportunity that you can use if you wish. A Ticket to Work is a voucher that you can exchange for services to help you work – if you’re ready and willing. No one is going to force you to work. However, many people with disabilities want to work, but need some assistance to overcome barriers. The Ticket to Work provides that assistance. You can receive services through a State Vocational Rehabilitation Agency or an Employment Network (another agency that assists people with disabilities to find suitable work). That’s not how it works. Social Security understands that the road for people with disabilities to go back to work isn’t always smooth or short. There are many work incentives to help people try out work, keep and get additional health insurance, and return to their benefits if one job doesn’t work out. Gail and Melissa, the Community Work Incentive Coordinators at New Horizons Independent Living Center, are here to help you learn about the Ticket to Work and your work incentives. To set up an appointment for benefits counseling, please call us at 928-772-1266 or 800-406-2377. Social Security will not have cost of living increases in 2010. However, Social Security beneficiaries who choose to work can make a little bit more money and retain their benefits! If you are using work incentives with your Social Security Disability Insurance benefit, the Trial Work Period trigger will be $720 per month, and the Substantial Gainful Activity (SGA) figure will rise to $1,000 per month. Not sure what these are? Call us! To qualify for our services, people must be 14-64 years old, have Social Security benefits based on their own disability, live in our service area (Yavapai, Coconino, Mohave, Navajo and Apache counties), and have an interest in working. Melissa Larson has been certified, and joins Gail Kenney, as the newest Community Work Incentives Coordinator at New Horizons ILC. Dan Kelsey did this job for many years and left New Horizons in September. He is loved and missed by everyone here and many, many, people in the community. CWICS provide planning and assistance services to people who are receiving SSI & SSDI disability benefits who want to try to go back to work, or are already working. 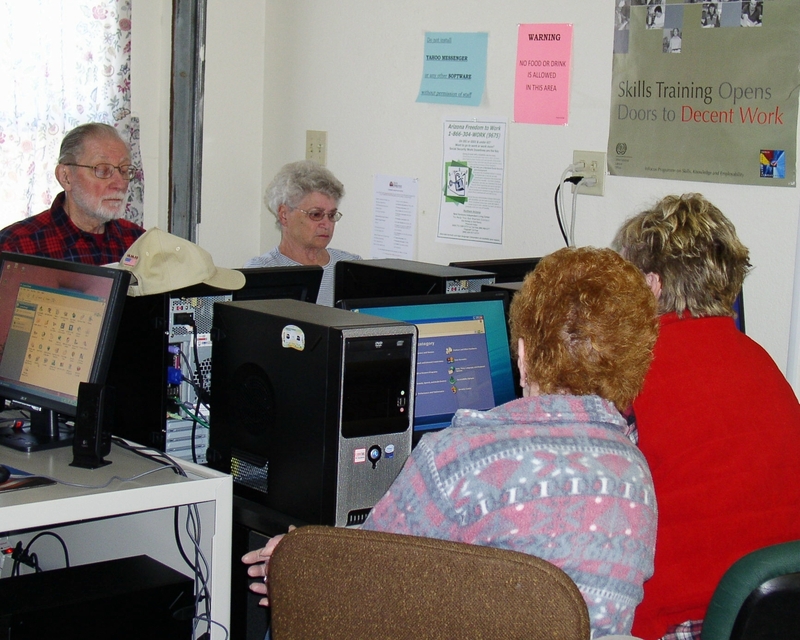 CWICS go through an extensive training process so they can help people navigate the often complicated world of Social Security, Medicare, Medicaid and AHCCCS. They can also help consumers manage other benefits they may be getting such as housing assistance, Veteran’s benefits and Worker’s Compensation. Melissa has had personal experience with disability, having had a Traumatic Brain Injury in 2002. She has experienced the triumphs and challenges that come with being disabled, being on disability benefits, and working her way back to employment. ** New Horizons a fragrance free zone and all participants are required to not use any “products” before coming to the class.. that would include hair spray and fragranced deodorant, perfume, fragranced body lotion, etc.